Many veterans are finding that they have something in common: serious injuries related to ear damage. These injuries stem from alleged defects in standard-issue earplugs that were issued to service members from 2000 to 2016. The alleged defect related to improper sealing, which allowed harmful and damaging sounds to reach the ears. As a result, many military service men and women have reported injuries and conditions like hearing loss, balance problems, and tinnitus (ringing in the ears). In July of 2018, 3M settled a lawsuit about the allegedly defective earplugs (specifically, the dual-ended CAEv2 Combat Arms). 3M was acting as a subcontractor to the US government to provide supplies to the military. These earplugs were reportedly standard-issue from 2000 to 2016, but have since been discontinued. The lawsuit claims that 3M knowingly sold the government a defective product, and failed to disclose information about the defect, even though the company allegedly knew the defect was there. The two parties reached a settlement for $9.1 million, but none of this money has been set aside for the service members who actually suffered injuries. Affected service members should, therefore, take action themselves to receive monetary compensation for their injuries. Eidson said that an estimated 2 million of these earplugs were distributed before they were discontinued, so a large number of veterans are potentially affected. Consulting with an attorney is the first step towards recovering after a product causes serious damage or harm. 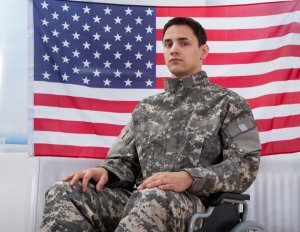 Service members should know that any potential lawsuit seeking to recover damages for their injuries would not be against the United States government or military. If you served in the military between 2000 and 2016 and suffered hearing or ear damage, please call us at 888-544-6767 or fill out the contact request form. All inquiries are kept confidential. Please fill out our contact form, and we will get back to you shortly.